When you need heating & air conditioning service, an electrician, or a plumber in Durham, look no further than Weather Master! We have been serving Durham, North Carolina families since 1977 and provide the best HVAC, electrical and plumbing service around. We are proud of our history of serving Durham and North Carolina residents with quality service and we will work hard to earn your trust and confidence too. Our main strength is our skilled team members. By hiring the best people in the industry, we have created a winning team that provides unmatched value to our clients. Our entire team is also committed to our mission: establishing long-term relationships with our clients and delivering reliable solutions that are energy-saving and suited to their home or business. From simple heating and air conditioning or plumbing repairs to new HVAC system and plumbing equipment installation, you can count on us! We are committed to doing “Whatever It Takes” to provide the best heating, air conditioning and plumbing service to Durham, NC residents. Our heating and air conditioning technicians have been installing and repairing air conditioners, furnaces and heat pumps in Durham, NC homes for over 39 years. We provide 24 hour air conditioning repair to Durham and our skilled technicians can repair and maintain all makes and models of air conditioners and heat pumps. Weather Master service vehicles are loaded with HVAC parts and tools to help ensure that our technicians will be able to handle your heating and air conditioning repair needs. Beyond repair and service, we have designed and installed thousands of home comfort systems in the area. We offer a complete HVAC product line and have the experience to help you navigate and understand all of the possible options to provide maximum comfort and efficiency in your Durham, NC home. 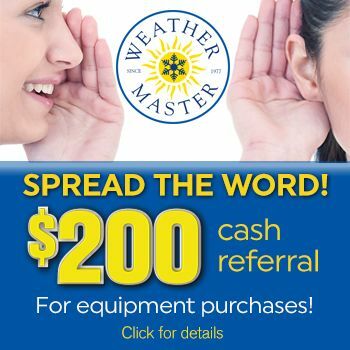 Armed with all the proper tools, equipment, experience and skill to get the job done right, you can count on Weather Master for all of your heating and air conditioning repair needs in Durham, NC! When you need a plumbing contractor in Durham, let Weather Master's Mr. Plumber be your number one choice. Our plumbers are ready to go and will arrive on-time, be courteous and respectful, and will clean up after they're done! For all of your HVAC, plumbing and electrical service needs, give us a call today or schedule service online.